Trained as a family practitioner to address acute and chronic conditions, Dr. McNaughton specializes in allergies, autoimmune disease, and digestive issues. She facilitates healing as a knowledgeable guide and partner, helping her patients make lasting changes and achieve health goals. Her patients are motivated and are active participants in their healing process. Dr. McNaughton holds your comprehensive medical record and helps you to coordinate care with other practitioners. Her treatment approach is to remove obstacles to cure and improve the functioning of the body so that disease cycles are stopped or slowed. Treatments can also minimize the side effects of medications and improve their effectiveness. History, labs, and diagnosis are the same as conventional doctors. Therapeutics are natural medicine. Dr. McNaughton completed her pre-medical education at Hahnemann University in Philadelphia. While there, she ran a natural health interest group; arranging for a variety of professionals to speak as well as giving several talks. 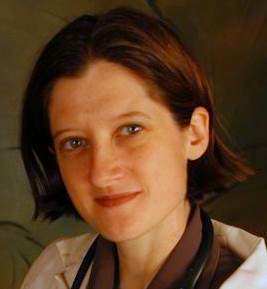 She graduated from Bastyr University’s naturopathic medicine program in 2003.